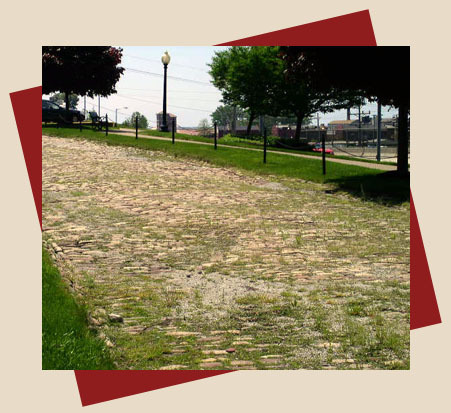 FUN FACT: Dobbins Lane is the last cobblestone street in the City of Erie. It is made of Medina stone that was cut in New York state and was laid in 1890. In 1988, the stones were lifted while the Bayfront Development Corporation built the office building at 100 State Street. The Lane was restored by 1989. In February of 1980, Michael Ripton, Director of the Bureau of Historic Sites and Properties of the Pennsylvania Historical and Museum Commission (PHMC), met at the Cashier’s House in Erie with those interested in preserving and promoting the Niagara. At that meeting it was decided to have Pat Liephart, Director of PHMC’s Fort LeBoeuf Museum in Waterford, conduct a survey of historic sites and museums in the Erie County. Historical societies, museums, cultural and recreation groups and local history research programs were invited to the next meeting. The objectives were to (1) develop purpose for a historical consortium; (2) select an organizational structure; (3) agree upon programs; and (4) decide upon a plan of action. At following meetings it was decided to rotate monthly meetings at different sites around the county. Pat Leiphart was chosen as Acting Recording Secretary and Leadership Erie withdrew from active participation. Charles Watkins of the Erie Historical Museum (Watson-Curtze Mansion) was named temporary coordinator or chairman. In the fall, at a meeting held at the Eagle Hotel in Waterford, the official name of Erie Yesterday was chosen. The next task was to research and draft by-laws for the new organization. Dr. Carl Frank from the Center for Local History at Edinboro State College replaced Pat Leiphart as Recording Secretary. serve as a clearing house of each members organization’s programs. Erie Yesterday was chartered by the State of Pennsylvania on March 25, 1981. The following were CHARTER MEMBERS: Center for Local History, Erie Tours/Heritage Trails, Fairview Area Historical Society, Fort LeBoeuf Historical Society, Fort LeBoeuf Museum (PHMC), Lake Shore Railway Historical Society, Union City Historical Society, Erie County Historical Society, Erie Historical Museum, Fire Fighter’s Museum, Hazel Kibler Museum, Preservation Project, and the Field School of Archaeology of Edinboro State College. Members joining at later dates were: Corry Historical Society, The Historic Preservation Division of Community Affairs and the Erie Society for Genealogical Research.